If you’re looking for insulation contractors in Oklahoma City, or surrounding areas of Oklahoma, turn to the professionals at 31-W Insulation. We are a family-owned and -operated business that has been serving residents throughout the southeastern United States since 1972. When you choose 31-W for your insulation needs, you’ll benefit from our tried and true installation methods as well as our years of experience and expertise. When you start experiencing any of these problems in your Oklahoma City home, it’s time to contact 31-W to have one of our expert insulation contractors complete a home assessment and determine your insulation needs. We can help you understand the different types of insulation available as well as the R-value, or insulating power that is necessary for your home to be energy efficient. Once you’re happy with your choice, our insulation contractors will work hard to professionally install your new insulation so that it is most effective for your home. In addition to fixing existing problems, your new insulation will contribute to better air quality and less noise pollution from outside to make your home environment even more comfortable. For more information about our insulation products and services available in Oklahoma City, OK, contact 31-W Insulation today. 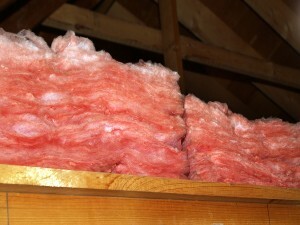 One of our insulation contractors will be happy to meet with you.